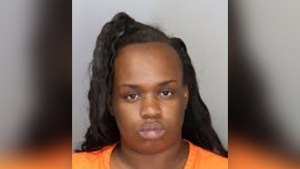 Jonathan Crenshaw is pictured in this police mugshot. 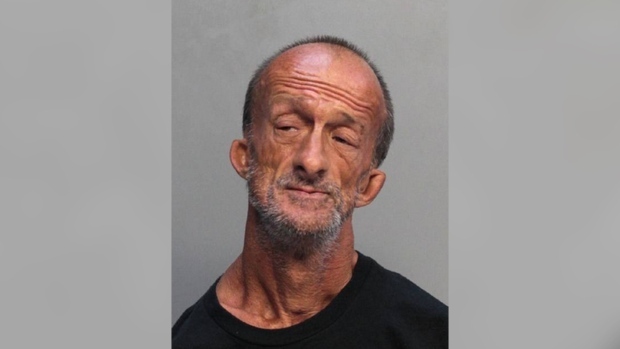 MIAMI -- A homeless, armless artist known for using his feet to paint pictures on Miami Beach is accused of stabbing a tourist from Chicago. Miami Beach police arrested 46-year-old Jonathan Crenshaw Tuesday and charged him with aggravated battery. Crenshaw told police he was lying down when Cesar Coronado, 22, punched him in the head, according to an arrest report. Crenshaw told officers he clutched the scissors with his feet and stabbed Coronado twice. He then tucked the scissors in his waistband and walked away. Coronado told investigators that he and his girlfriend, Cindy Barrientos, 22, and also of Chicago, stopped to ask Crenshaw for directions. He said Crenshaw jumped up and stabbed him. The Miami Herald reports police found Coronado bleeding from his left arm. He was taken to a hospital for treatment. Barrientos described the attacker to police as a homeless, armless man. Officers found Crenshaw a short distance away and arrested him. Crenshaw remains in jail. An attorney isn't listed in jail records. His court date is scheduled for July 18.